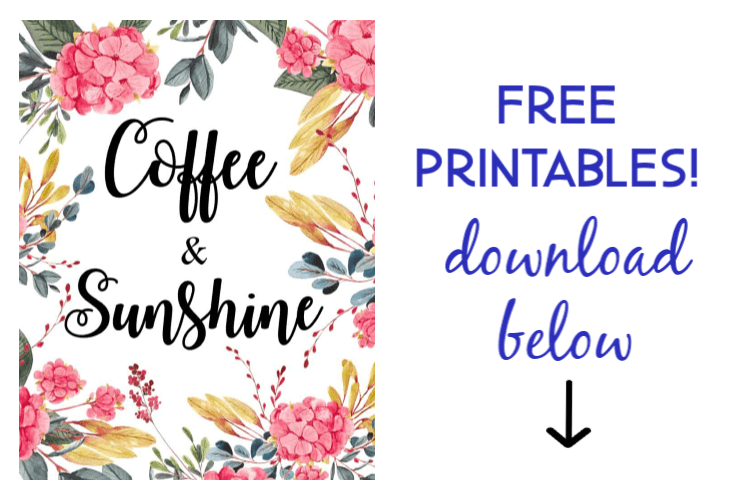 Today I am sharing a super simple garden art project that I came up with over the weekend. 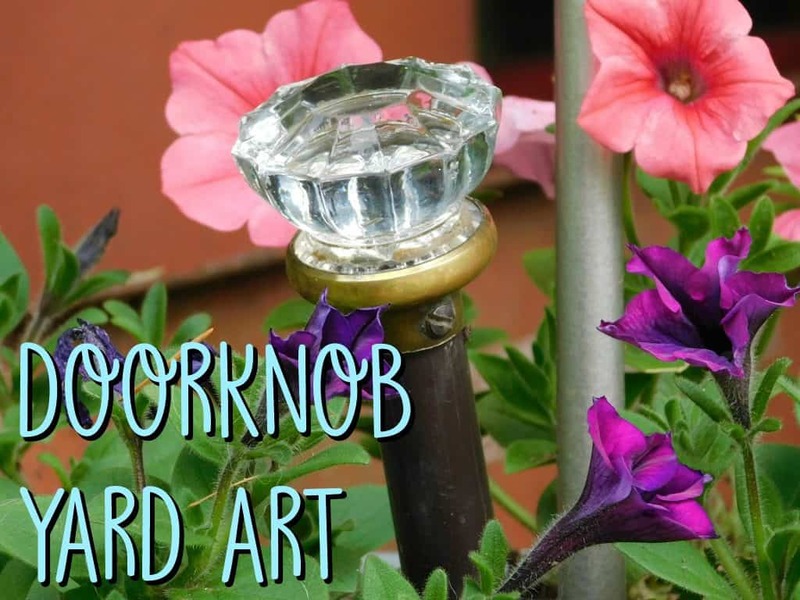 I made these cute upcycled doorknob garden art stakes with just two supplies- an old glass doorknob and a curtain rod. I’ve had the doorknobs in my craft stash for a few years. They were an Ebay purchase that I never quite knew what to do with. 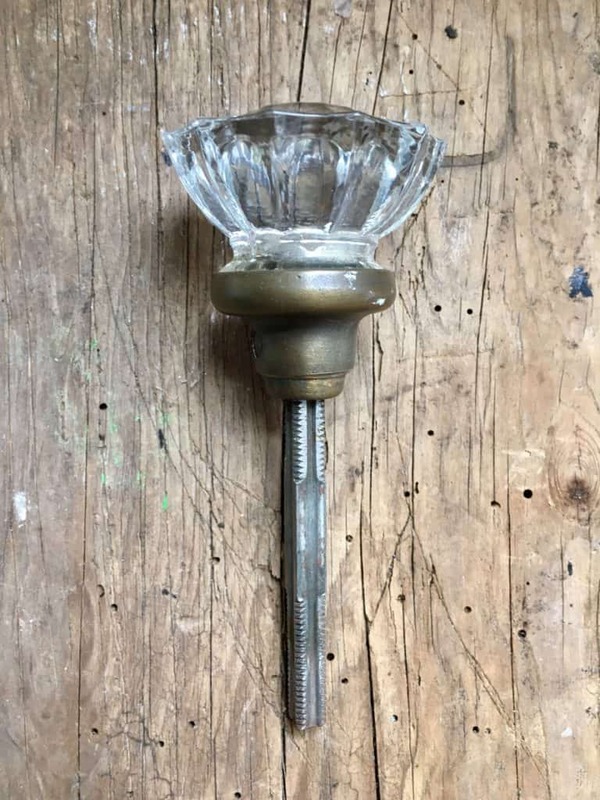 I originally planned to replace the existing ugly doorknobs in my house with them, but when I tried to install them I realized they were the wrong size! Let that be a lesson to you DIYers out there! Beware of antique hardware and components, they may not physically fit in our modern homes. The knobs had been sitting in my craft cupboard for several years waiting for the perfect craft project to come along. 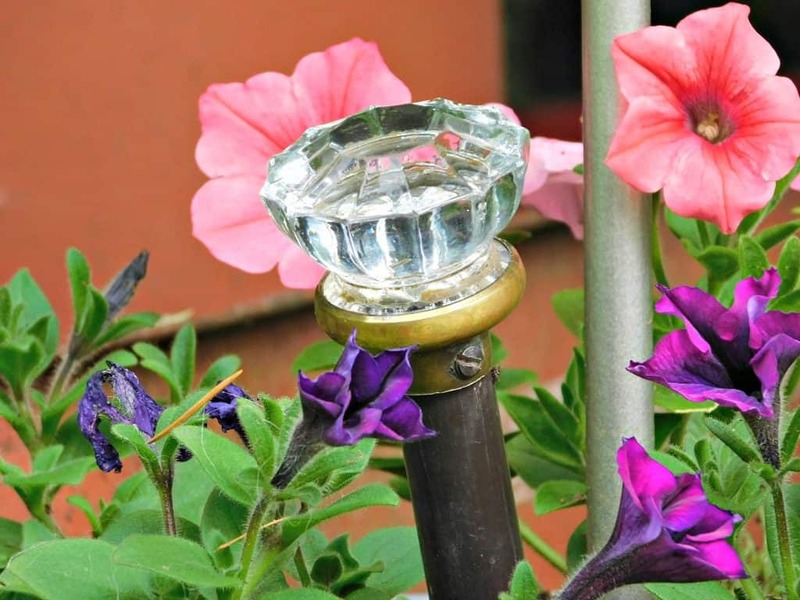 I saw some pretty garden stakes online that used antique glass doorknobs like the ones I had laying around and I realized I could simply stick the knob into the end of of of my old curtain rods and then stick it in the soil. The doorknobs have a long metal screw that goes through them so they sit in the curtain rod nicely. I didn’t bother gluing them in place, and when I’m ready to use the knobs for a different project I can just pull them out. 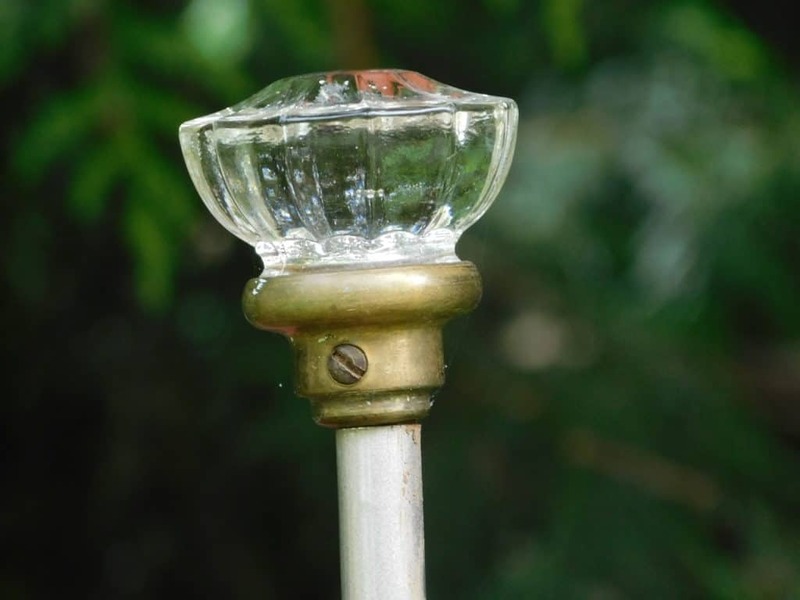 The shortest stake that you see is actually the base from a solar light and not a curtain rod. I used the same method of just sticking it into the metal base. You can use any cylindrical object that the doorknob will fit into. How do you like this fun garden art project? 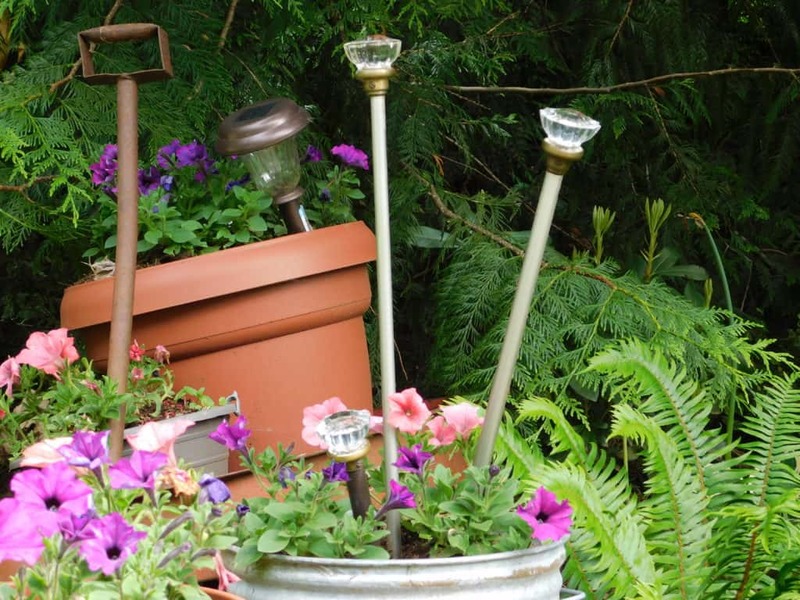 What funky yard art have you been creating this spring? Feel free to drop a link in the comments!